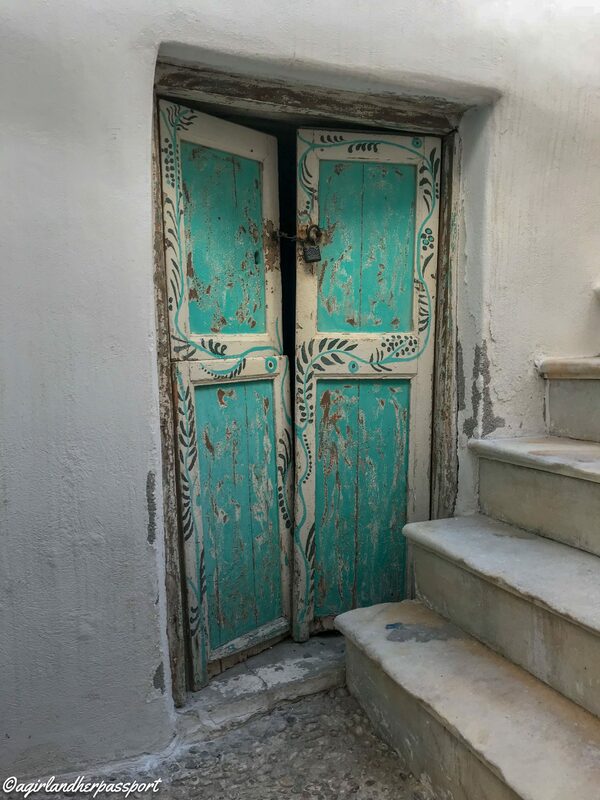 Exploring the winding streets of the Naxos Old Town is a wonderful way to spend a day in Naxos, Greece especially after spending the day at the beach. It is the classic white village of Greece, and many locals still live in the Old Town making for an authentic Greek experience. When you first enter the Naxos Old Town, you are entering the Bourgos area. The Bourgos area is where the Old Market is located. The Old Market is the place to shop and eat in the Chora, the village. You will find a variety of shops and restaurants here. As you go further into the Chora, you will enter the Kastro area. The Kastro is the area that is still occupied by much of the 13th century Venetian Castle. As you get closer to one of the three entrances, look for signs on the ground or walls that say Kastro. Besides getting lost and finding hidden gems, there are lots to explore inside the Old Town of Naxos. Here are all the things to do in Naxos Old Town. Shopping is easy to do in Naxos Old Town, and there is something for everyone. There are the typical tourist shops with souvenirs such as magnets and t-shirts, and then there are clothing stores, jewelry stores, craft stores and more. – Papyrus Jewelry and Used Books have a huge selection of used books in many languages and some beautiful jewelry as well. I have never found a used bookstore on a Greek Island before. – Pocket Gallery has some stunning crafts and sells bags made from old sails, and they can tell you what boat they came from. – Morfes Ceramic Workshop makes beautiful and functional pieces. Ask them to show you the magic salt and pepper shaker! – Argilos is the best place to get quality Turkish and Greek towels which are essential when visiting Greek beaches as most hotels will not let you take their towels to the beach. The Greek towels are made in Crete of bamboo. – Jubilee is the place to go if you want really unique gifts such as handmade candles and stone lamps. They also had some Greek made notebooks. 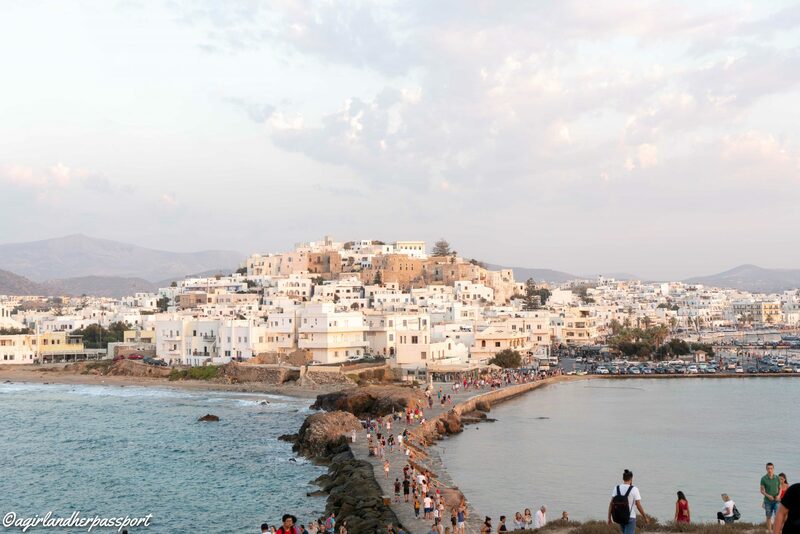 Naxos Old Town is full of history, and you can easily see most of the historic sites in this area in a day. – Of course, the Kastro should be your first stop. If you want to avoid all the climbing, you can take the elevator. Finding the elevator can be tricky, so here is a link to the Google Map. There is a small fee to take it, but in the heat of the summer, you would pay anything not to climb the stairs. I recommend catching the sunset from the Kastro! – The Archeological Museum of Naxos is located in the Kastro area. It is housed in a 17th-century Venetian building and has five floors of artifacts. – Right the edge of the Old Town is the Mitropolis Museum. This museum is the ancient site of Naxos town. It is an open air museum, but you must go down some stairs to get to it as it is below street level. 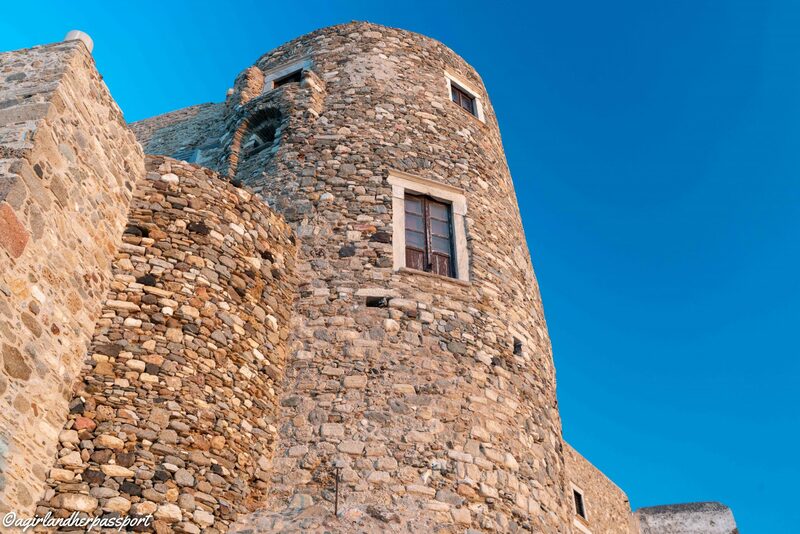 – The Folk Museum Collection is another treasure to discover in the alleys of Naxos Old Town. The collection is of modern pieces from 1975 to the present and represents the folk art of Naxos. 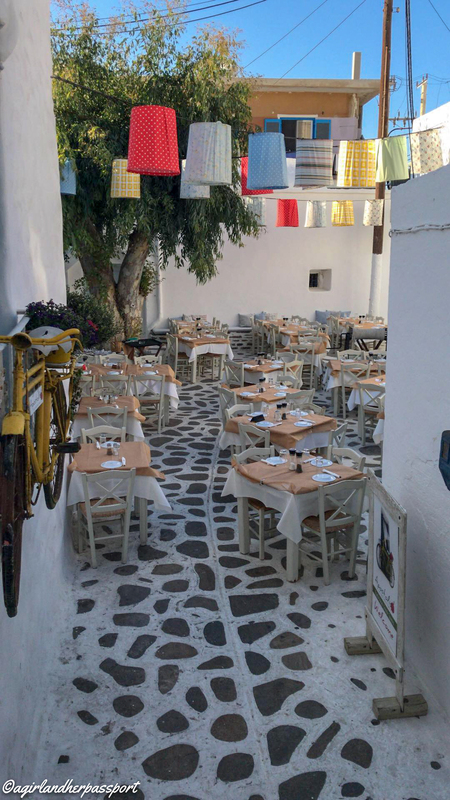 As mentioned earlier, some of the best restaurants can be found in Naxos Old Town. Most of these places serve Greek food at reasonable prices. However, you cannot get the atmosphere of eating at a table in the alley with people passing you by other than in the Old Town. – Metaxi Mas is a beautiful restaurant spread between two buildings with tables in the alleyways. The food is traditional Greek food, and everything I have eaten here has been excellent. If you have a large party, make a reservation, and you might want to eat earlier than the traditional Greek dinner here as I went at nine the other night and much of what I wanted was already finished. – Located right next to Metaxi Mas is Apostolis. The charm of this restaurant will make you want to sit down, and the flavors will make you want to eat there every day! – Living up to its name of Labyrinth Wine Restaurant you may get a little lost trying to find this wonderful garden restaurant, but it is worth it. This restaurant is only open for dinner and takes only cash. All three restaurants appear in the video clip! Have I convinced you to explore the Naxos Old Town yet? 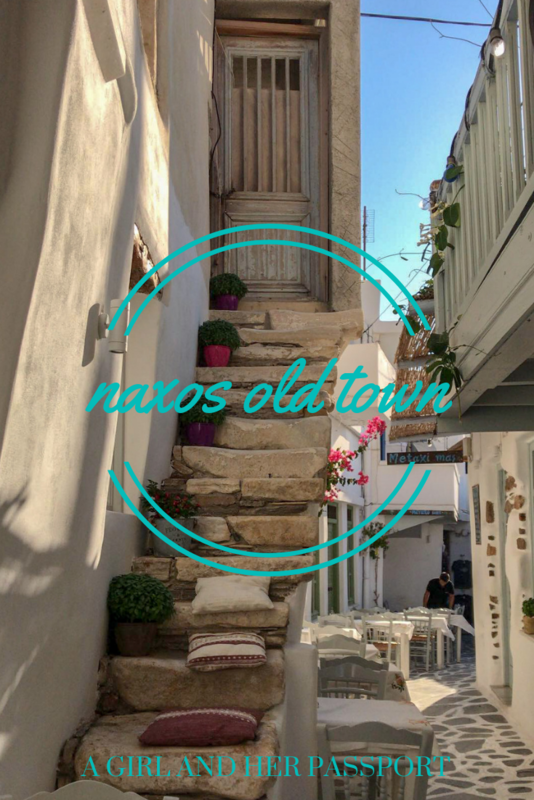 Find a place to stay in Old Town Naxos by clicking here. Dallas Arboretum, a Must See in Dallas! Thank you!! I am going to try to do more. Fantastic pictures! It looks amazing. So many places with their own character and history to explore. So little time!! Thank you! I discover something new every time I go there. Yes please. I want it all! I can’t wait to unpack all my shopping done in Naxos. I am so happy you liked it. It was great to see you! Very nice pics..I like it! hanks your ! for shared this blogs are wonderful all time preferable. Hi, Tiffany! You may remember we met in mid-October at one of the outdoor cafes at the port. I’m the architect from California. I will be staying in Naxos for at least another month. Do you have a studio or similar recommendation I might consider? Like everyone, I do want to keep to a budget. Hope you are doing well back in Qatar. I met your friend Marion from the Oasis last night. Hi, Don! I remember you. Mario mentioned she met you. You can try Pension Verykokos. That is where I was staying. Also, Burgos Studios in the Kastro area might have something. I just arrived yesterday and am tired but it’s good to be here. Let me know how you get on in Naxos! You travel so much in Greece wow! Is it expensive there or not really in terms of dirhams or any desert money haha! No, it’s not expensive at all! Even in non desert money it’s not expensive. Happy Holidays! Naxos is my favorite. There is so much to do as well. I am going to be writing about all the things to do there soon. Thank you!